Water spouts threatened from the east, thunderstorms growled to the west, sharks prowled the line-up, but nothing could ruin the good vibe at this year’s Waterman’s Challenge. Once again we had very contestable surf for the entire weekend and the contest ran as smoothly as we could have hoped. There was a great turnout for the competition with a large number of spectators and families lining the beach. Notable this year was the number of female entrants, comprising nearly half of the 134 competitors. We also had a record number of menehunes this year with over 30 attending. 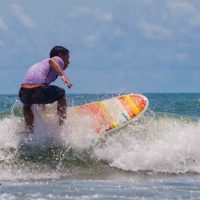 The WMC continues to be a showcase for the longboarders and non-traditional categories such as the vintage and rodeo divisions. 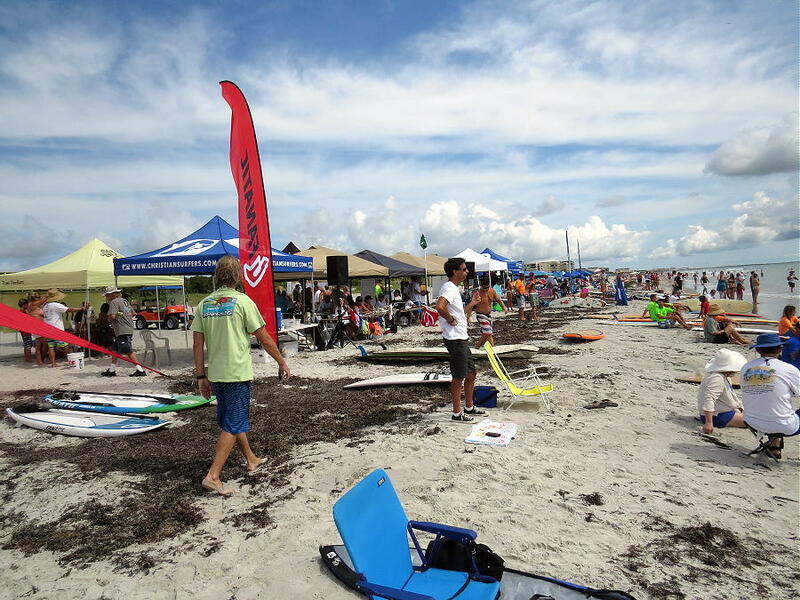 The short board divisions were also well attended and highly competitive. 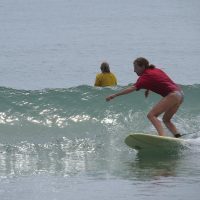 In 2008 the WMC was the first contest on the East Coast to have a SUP surfing division. 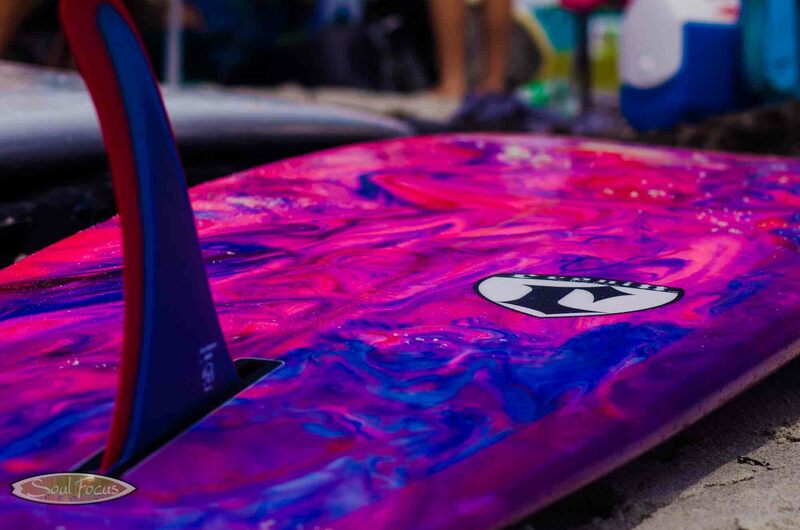 This year featured another first, a division for SUP race boards over 12’6” in length. This was possibly the first of its kind in the world (that’s our claim until someone proves us wrong). The Surfrider Foundation Challenge was a hotly contested event as always. The Cocoa Beach chapter overcame a long drought with a win over the Suncoast, Central Florida and Sebastian chapters. We are entering a new chapter as we transition from being the Cocoa Beach Surf Museum to our new role as the Florida Surf Museum. 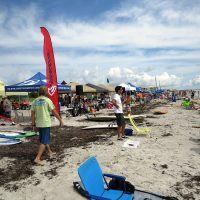 The Waterman’s Challenge will continue to serve as a gathering place for the Florida surfing ohana. 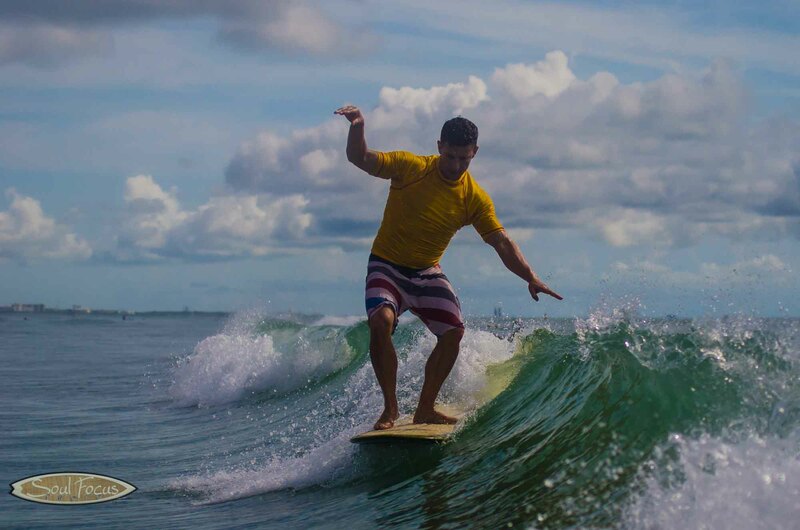 We hope to use this as a springboard to encourage everyone to share the history and stories of their region so we can write Florida surfing history in our own voice. Mahalo to Sharon Cranston, Matt Bellina and the judges for running a super smooth competition. Mahalo to our many volunteers who show up to make the WMC a success year after year. 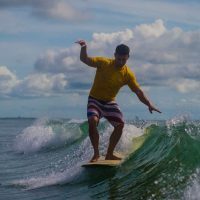 We are grateful, as always, to RonJon Surf Shop for their unwavering support for the Florida Surf Museum over the years. 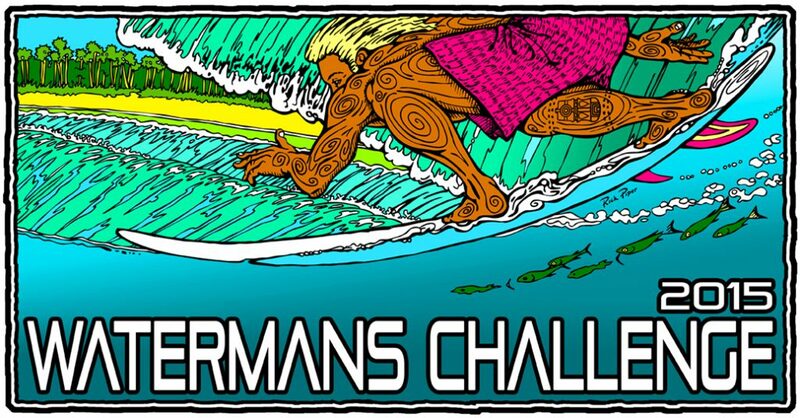 Also, mahalo to the International Palms Resort for generously hosting the Waterman’s Challenge each year. Mahalo to our many sponsors for your support! Looking to the north up the beach at the tents setup for the event, as well as sponsor tents. 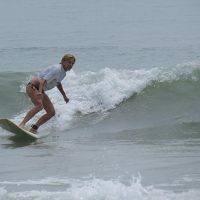 Sue DeWerff goes left during the Women’s Shortboard Final. 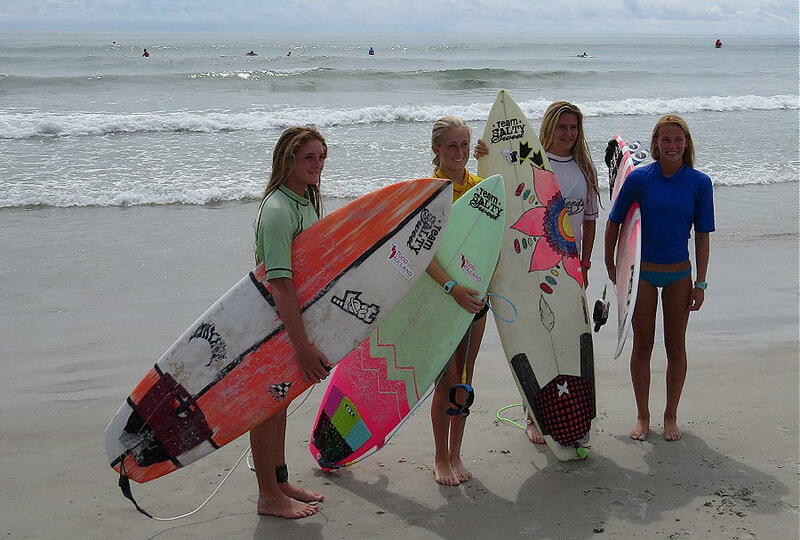 Some of the Girls’ Shortboard heat pose together for a photo. 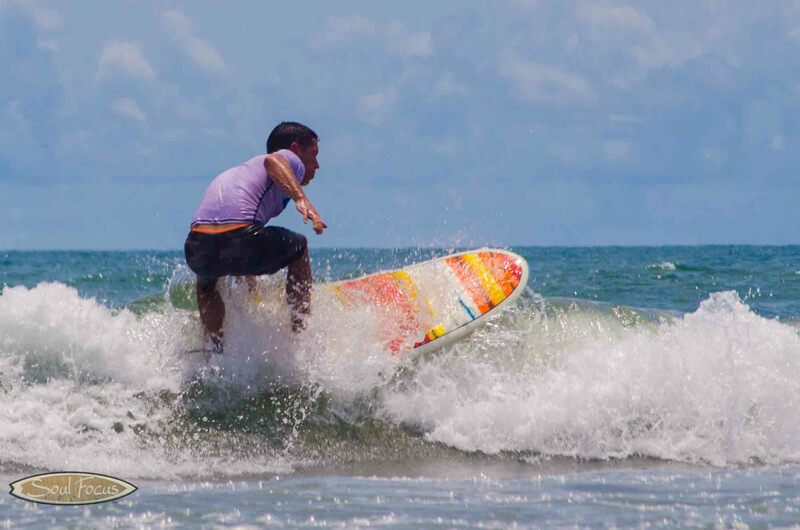 Taken during the 1st day of longboarding heats of the Waterman’s Challenge 2015. 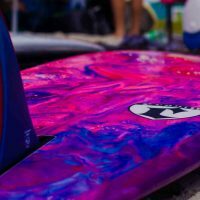 Photo of an SUP used during the contest. Taken during the first day of heats during the Waterman’s Challenge 2015. Photo taken during the lunchtime exhibition of Bear Wozinak’s Tandem Surf.